There’s nothing worse than accidentally napping your entire day off away. Does anyone besides me remember One Off? Wow, not only was this a sign-heavy episode, but also a note-heavy one! I’m just going to go through them in no particular order. Yukichi is the guy on the 10,000 yen bill. If it were in America, the joke would be Benjamins. Kanpu masatsu is that thing where you rub a dry towel quickly over your body to heat it up. You can probably visualize a wrinkly naked old man doing it if you’ve seen enough anime. Hottokeya is a pun (or not) that sort of combines the word “hot” with the verb “to leave alone”, so it’s as if the person in the hot spring is telling others to let them be. 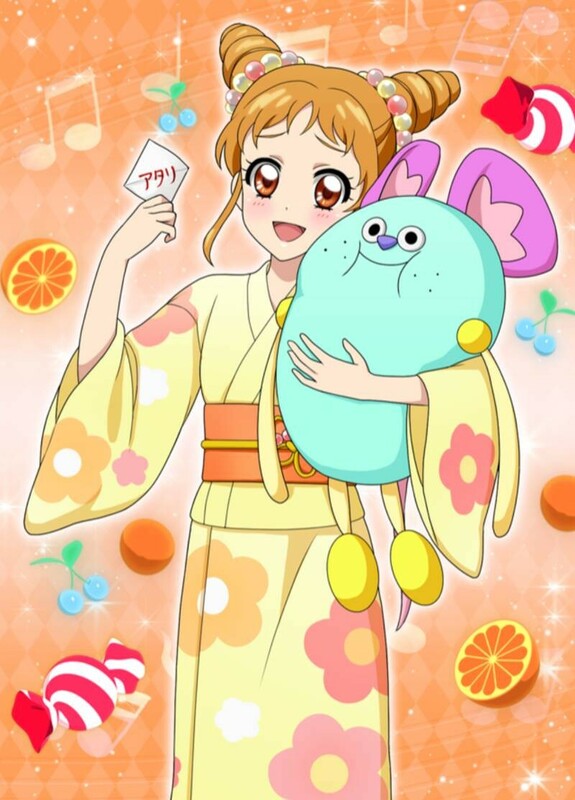 The flag on the moon is a total parody of Potepo from Aikatsu. Don’t try to convince me otherwise. 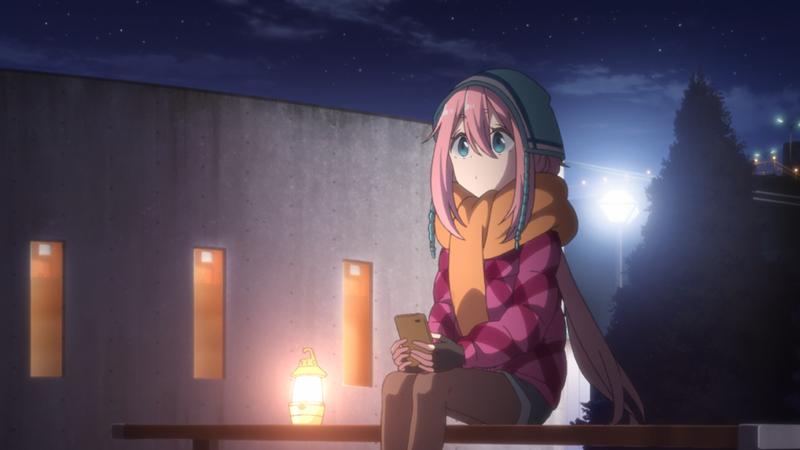 I wish I could post more of the other girls, but Nadeshiko keeps on being perfect. Also that weird line in the middle is a reference to Tsuru no Ongaeshi. 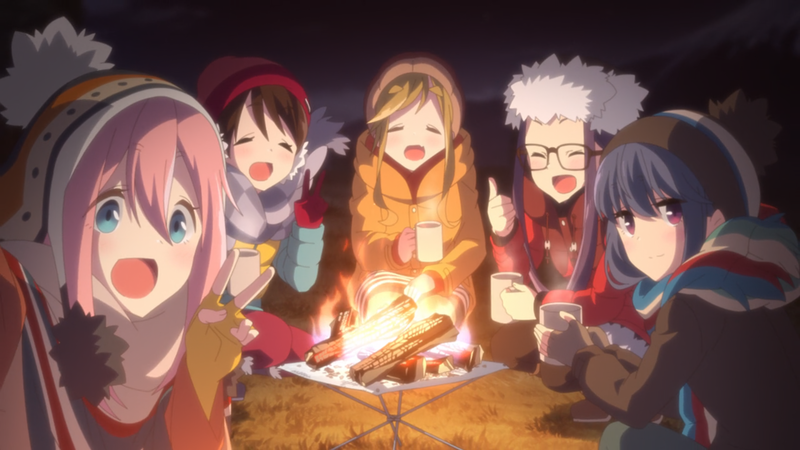 I would be totally fine if the entire show was just camping. Then again, five JKs in a cramped clubroom… but tents are also cramped…… This is a tough choice. Also, I want ramen. In fact, I think I’ll have some now. Happy New Year, and welcome to our first choice of the Winter 2018 season! And what a wonderful start it is. 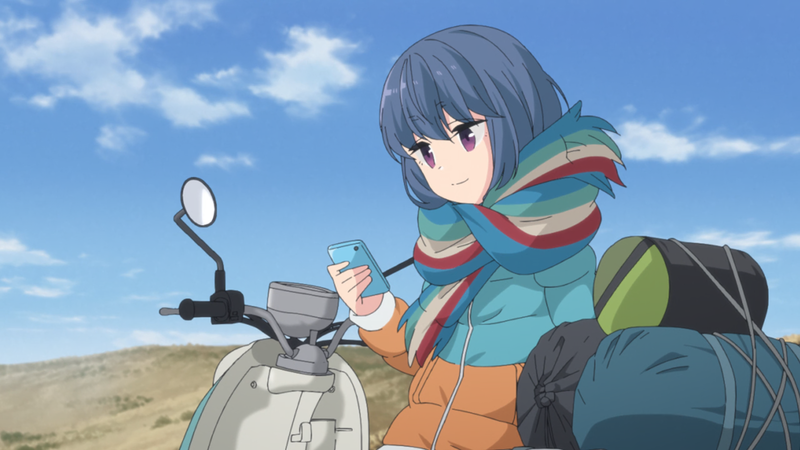 This was an absolutely charming and heartwarming episode, from the animation and art, to the music, writing, and voice acting. 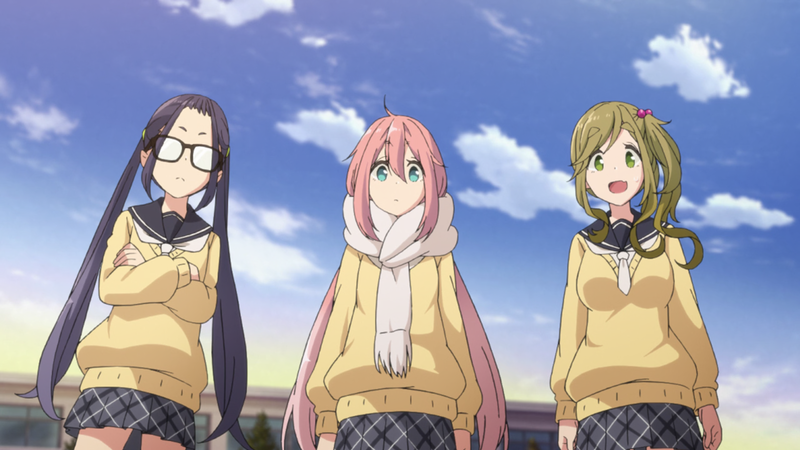 This adaptation is being done by a writer I respect, and it’s the director’s first foray into heading an anime after having worked on several others including Yama no Susume. 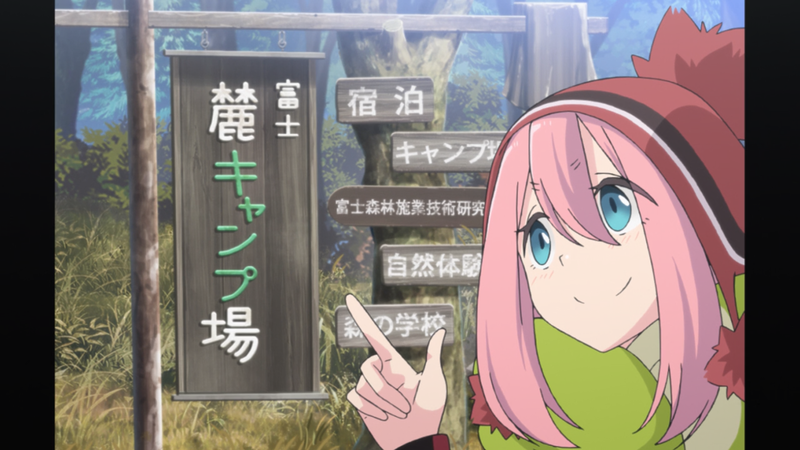 I think we’re in for a lovely, relaxing journey, so lay out those tents, build those fires, and get yourself comfy.